Disney is always looking to expand their reach from Disney Jr. As part of that desire, they have produced Fancy Nancy that aims to keep children interested in their channel as they graduate out from the Mickey Mouse Clubhouse demographic. As these toddlers grow, Disney has been aggressively targeting programming that will hold their attention until they are ready to graduate to more age-appropriate programming on one of their other numerous channels. I get it and so far the experiment seems to be working if my children are any indication. The Fancy Nancy series is based on the series of books by the same name in which the little leading lady is quite the little francophile. She appreciates all of the fancier things in life and has a soft spot in her heart for anything French. I remember my daughter reading the books years ago and while it was fun to teach her the bigger words in them to help expand her vocabulary, I didn't really see the attraction. Neither did my daughter as she quickly moved on. She's a voracious reader for a six-year-old and she's already on the third Harry Potter) book, M53520, so this isn't a condemnation of the series at all. However, when she started watching the series, she was immediately struck by the personality that Disney has projected on the character. Perhaps it was always there in the books and we overlooked it, but when she was brought to "life" on the small screen, suddenly my daughter took notice. It could also have something to do that she's big into dress-up right now and if there's a character that is tailor-made for this age group, it's Fancy Nancy. So far, the series seems to be equal parts adventure and fun with a heavy emphasis on cultural education. My children recently started receiving the Little Passport packages, so they are getting a whole new appreciation for other cultures. Fancy Nancy helps to extend that learning, even if there is a heavy French bent. I suspect that Disney will help to steer Fancy Nancy towards other more diverse cultures in future episodes, which would only help the series as a whole. As it stands, Fancy Nancy Volume 1 contains the first six episodes of the series. Each 22-minute episode contains two mini-episodes so that even a toddler's whimsical attention span isn't tested too much. As has been par for the course lately for Disney, these first mini volumes of episodes aren't too heavy on special features and you will find none on Fancy Nancy Volume 1. If my daughter's reaction is any clue, we can expect to see many more volumes from Fancy Nancy in the future. 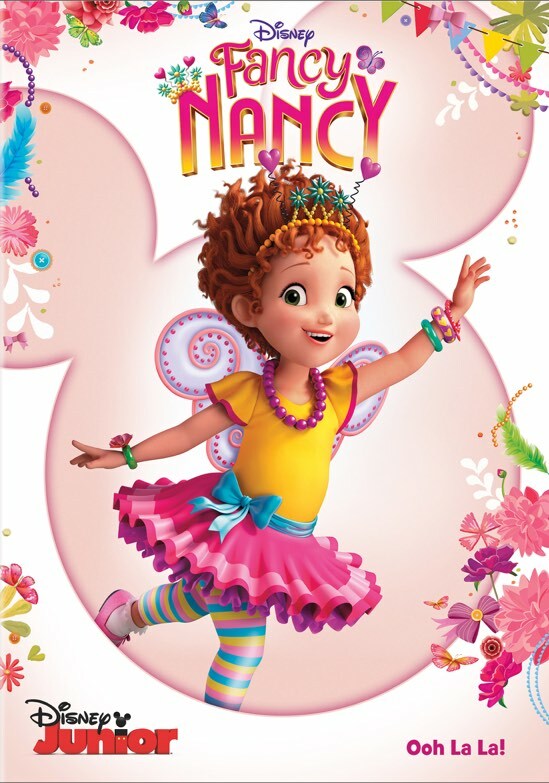 Fancy Nancy Volume 1 is currently available on DVD.